Awesome deals, right? Why not share them, so that your friends get stunning deals at insane prices. And what's even more awesome you can get upto ₹2000 voucher for this. 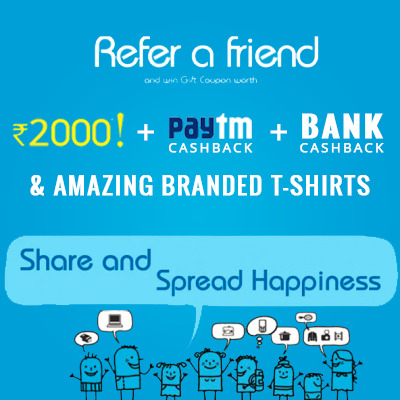 Not only that paytm cashback + actual monetary cashbacks in your bank and 8 amazing branded t shirts.